← What Does a Train Have to Do With a Dredge? Massive granite boulders are one of the beautiful components of the scenery out here in the Elkhorn Mountains. But, occasionally you might come across some with numerous holes like the one pictured below. Some of the holes might be an inch or two deep and some could be at least a foot or more! 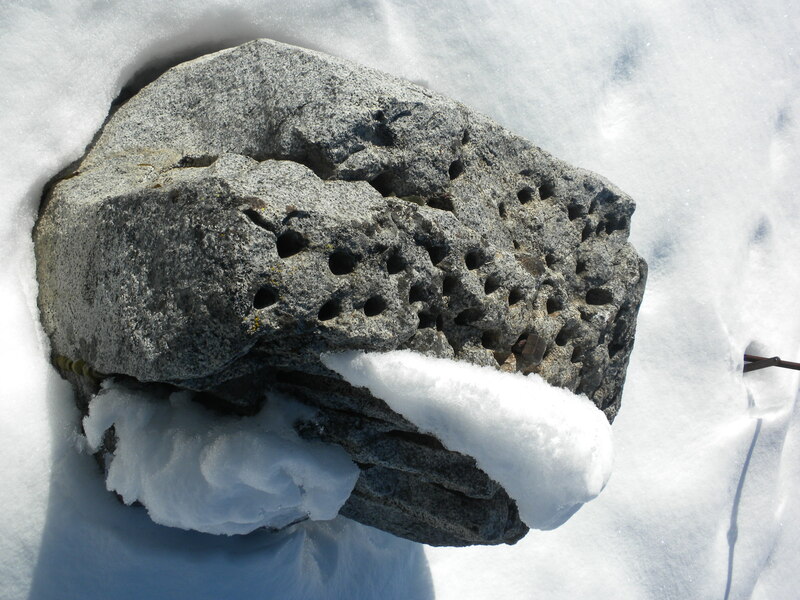 How did these solid chunks of rock become full of holes? Aliens? Some crazy, geological formations? Nope! These are called Fourth of July stones. They are the remnants of Stone Drilling Contests held in Sumpter during the Fourth of July Festivals. You might think of a drilling contest using a large hole-boring machine with a big drill bit, but this was not the case. They used HUMAN drilling machines! As they prepare, note the granit stone in the center with the long spikes resting on it. 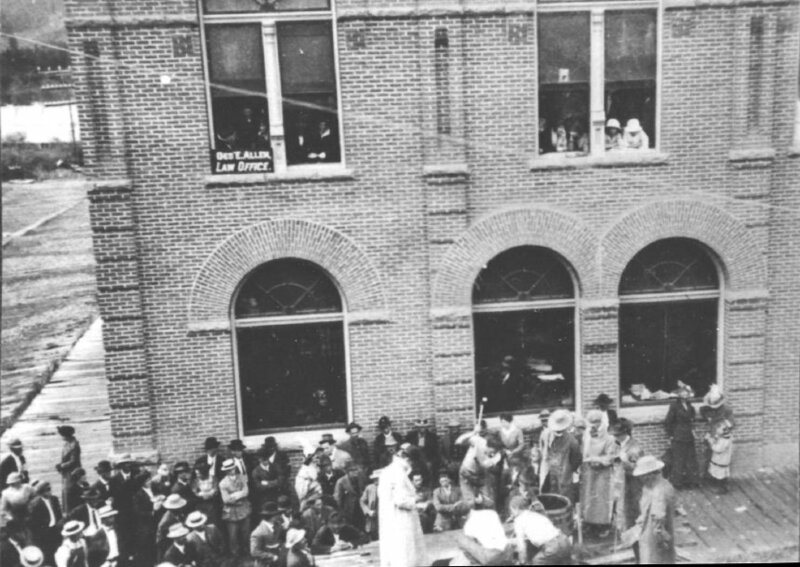 photo is courtesy of the Baker Co. Library Photo Archives. As you can see in the photos, a platform is built around the granite boulder. 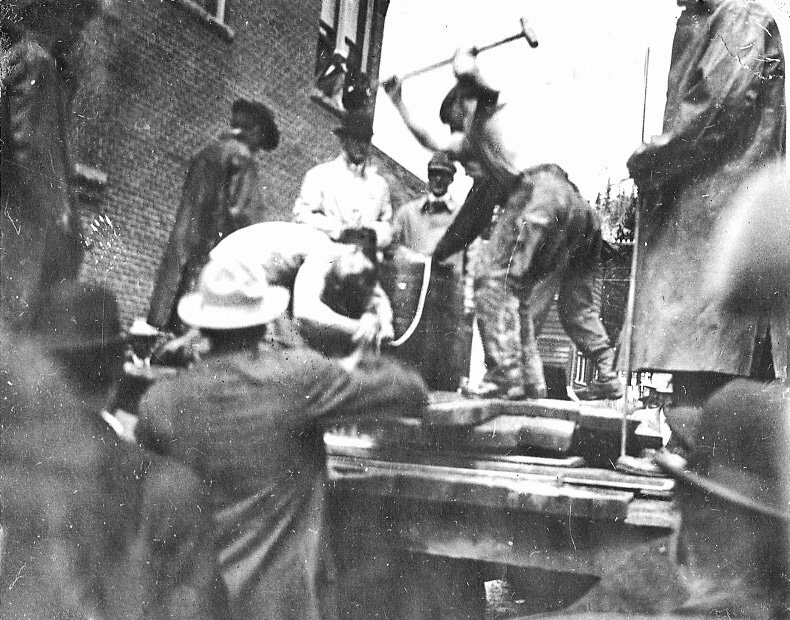 One man hunkers down to hold a tall metal spike in place while another stands above and pounds the stake into the granite with a large maul. The contest was a tribute to the strength, endurance, and hand/eye coordination of the miners. I, for one, would not want to be the man holding the stake. 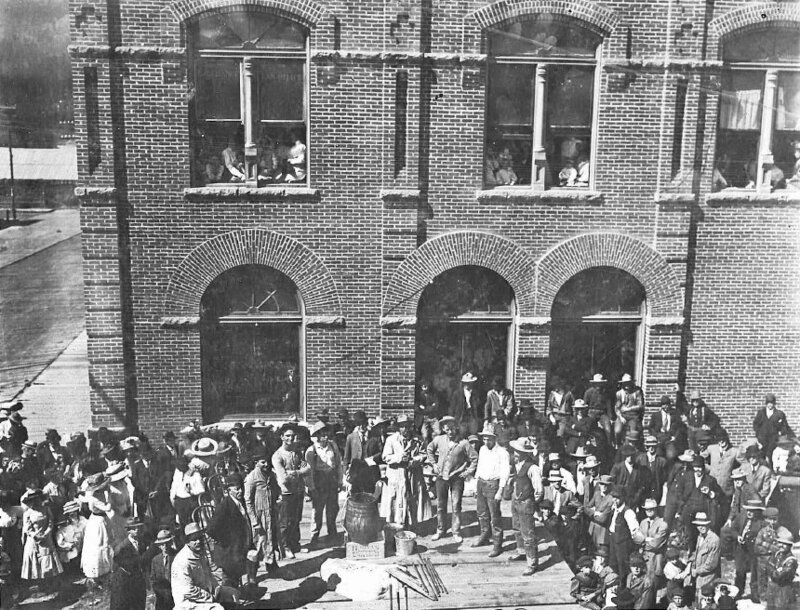 This entry was posted in City of Sumpter, History and tagged City of Sumpter, Fourth of July Festival, Granite Boulders, History, Stone Drilling Contest. Bookmark the permalink. 1 Response to Holey Granite Rocks, Batman!